Danny Duck Tames the Lion – Danny il Papero Doma il Leone. This dual language book is recommended for bilingual children and Italian language students with a basic or intermediate knowledge, who want to revise a dual language text in English and Italian. This illustrated book is divided into three sections. In the first part, for ease of understanding the two languages are displayed together mostly one or two sentences at a time. Showing the languages together helps compare words and common expressions easily. The second part, the Italian only version allows intermediate students to test their understanding and the third part is in English only. Reading this fun bilingual book will help you learn and develop your Italian language skills. We hope you enjoy the story. This entry was posted in english italian and tagged bilingual book english italian, english italian book, learn italian book on May 5, 2015 by LingoLibros. Free Bilingual Book in English and Spanish – Life of Basil. 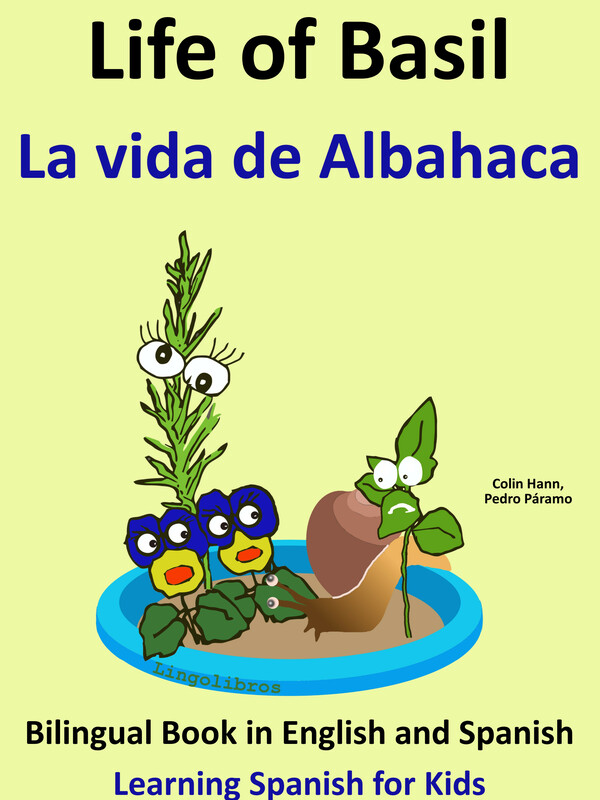 Life of Basil – La vida de Albahaca – Bilingual e-book in English and Spanish. This illustrated story is for bilingual children and Spanish language students with a basic or intermediate knowledge who want to study a dual language text in English and Spanish. For ease of understanding, the languages are displayed together mostly one or two sentences at a time. The aim was to make the translation as direct as possible but always using everyday language of native speakers. Reading this entertaining dual language book will help you develop your knowledge of the Spanish language. We hope you enjoy the story. This entry was posted in English Spanish and tagged bilingual english spanish free book, free bilingual book, free book english spanish on July 28, 2014 by LingoLibros. New Bilingual Book in English and Spanish. Danny is a very confident young Duck in search of adventure. In this story he finds work in a circus cleaning out the animal pens. Not the exciting adventure Danny is looking for, but when the lion tamer gets the flu Danny gets the chance of his Life! Will Danny tame Larry the lion or he will run back to the farm like a scared chicken? 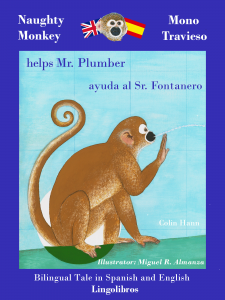 You will find out by reading this wonderfully illustrated bilingual English Spanish book. A fun way to practice and improve your Spanish. This dual language book is recommended for bilingual children and Spanish language students with a basic or intermediate knowledge, who want to revise a dual language text in English and Spanish. This illustrated book is divided into three sections. In the first part, for ease of understanding the two languages are displayed together mostly one or two sentences at a time. Showing the languages together helps compare words and common expressions easily. The second part, the Spanish only version allows intermediate students to test their understanding and the third part is in English only. 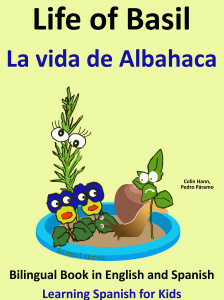 Reading this fun bilingual book will help you learn and develop your Spanish language skills. We hope you enjoy the story. 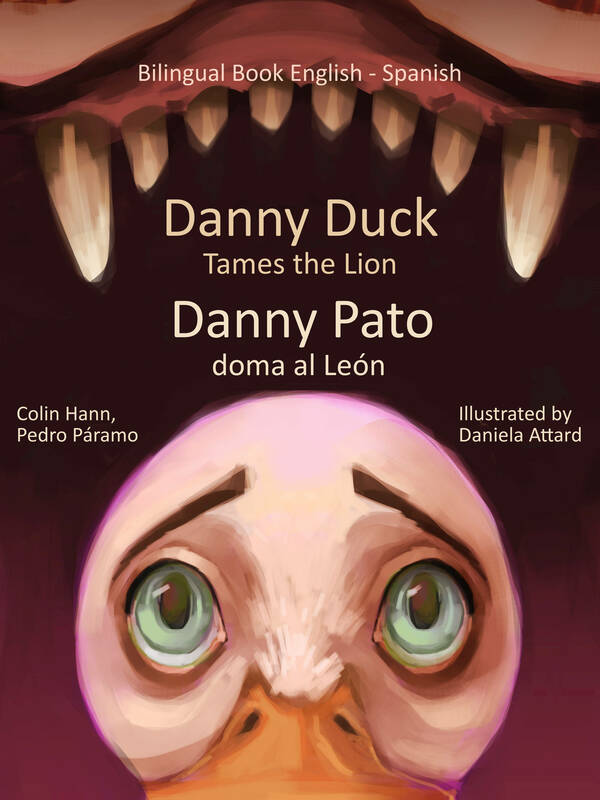 This entry was posted in English Spanish and tagged bilingual book english spanish, bilingual spanish book, bilingual tale english spanish, english spanish book, learn spanish on July 17, 2014 by LingoLibros. Naughty Monkey helps Mr. Carpenter – Mono Travieso ayuda al Sr. Carpintero. Naughty Monkey has a special talent for getting into trouble. 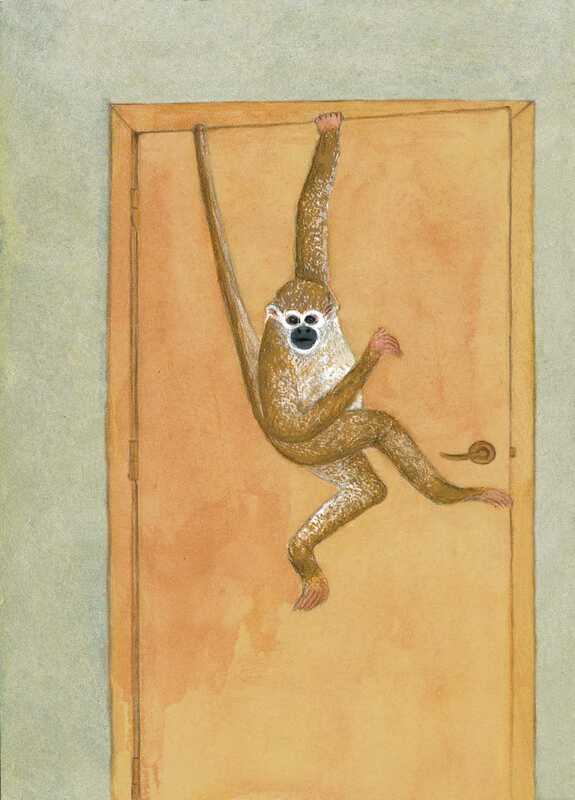 In this story, Mr. Carpenter attempts to replace a door that Naughty Monkey has broken, but that is not easy when Naughty Monkey is watching. This illustrated story has been designed for bilingual children and others wishing to read a dual language text in English and Spanish. For ease of understanding, the languages are displayed together mostly one or two sentences at a time and use everyday language of native speakers. This entry was posted in English Spanish on June 4, 2014 by LingoLibros. This entry was posted in bilingual book, English German and tagged bilingual book, bilingual e-book, bilingual german book, english german, german for kids, learn german on October 6, 2015 by LingoLibros. This entry was posted in Uncategorized and tagged cuento español inglés, español - inglés, libro bilingüe inglés on October 1, 2015 by LingoLibros. This entry was posted in francés and tagged aprende francés, cuento bilingüe francés on October 1, 2015 by LingoLibros. I was going to say… thank you all for taking part in our summer contest ! – but… I will be honest ,we have not received any answer 🙁 , this must be the most unsuccessful contest ever in the internet ! well, I know there is not so many people interested in books these days, but I am sure somewhere out there must be at least one person interested in a free bilingual ebook ! And just for YOU, our number 1 customer, we are extending the contest for another week. All the correct answers received before the midnight of the 7th September will receive the free e-book! Cheers and thank you! This entry was posted in English Spanish on September 2, 2015 by LingoLibros. We hope you’re having a great summer! 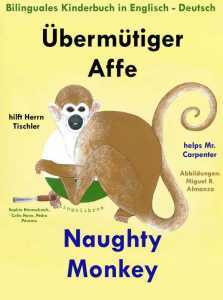 We are giving away a free ebook from the Naughty Monkey series: Naughty Monkey helps Mr. Carpenter (English – Spanish) to everybody that can tell us – what animal is “frog” ? Bilingual Clue : ¡No es una Rana! What format do you want: pdf, epub (for android and iPhone, ipad), or mobi (for kindle)? Please send the answer by email to mail@lingolibros.com , (please do not post it here). We will only use your email to send you the free book and we won’t give your email to anyone else. If you get the answer right we will send you a copy of the ebook free. It has some great pictures by Miguel R. Almanza. So please let us know what format you want: pdf, epub (for android and iPhone, ipad), or mobi (for kindle). The contest is open until the 31st of August. This entry was posted in Uncategorized on August 23, 2015 by LingoLibros. 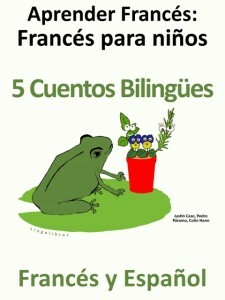 This entry was posted in Français and tagged Conte Allemand et Français, Conte Espagnol et Français, Conte Français et Anglais, Conte Français et Italien on May 5, 2015 by LingoLibros. This entry was posted in italiano and tagged Racconti Francese e Italiano, Racconto Bilingue in Italiano e Inglese, Racconto Bilingue in Italiano e Tedesco on May 5, 2015 by LingoLibros. This entry was posted in deutsch and tagged Deutsch und Englisch, Deutsch und Italienisch, Deutsch und Portugiesisch, Deutsch und Spanisch, Deutsch und Türkisch, Griechisch und Deutsch on May 5, 2015 by LingoLibros.